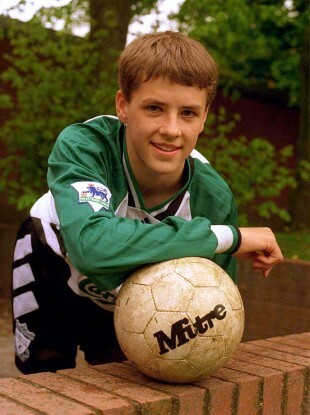 A 14-year-old Michael Owen in full Liverpool kit. HE MAY NOT be on many Liverpool fans’ favourite players list anymore – a stint at bitter rivals Manchester United will do that – but there’s no doubting the contribution Michael Owen made during his time at Anfield. When he made his full debut on this day in 1997, Liverpool were genuine title contenders but needed to beat Wimbledon to stay in the hunt. Owen would go on to score 118 goals in 216 games for Liverpool before moving to Real Madrid in 2004. Email “16 years ago today Michael Owen scored his first goal for Liverpool”. Feedback on “16 years ago today Michael Owen scored his first goal for Liverpool”.